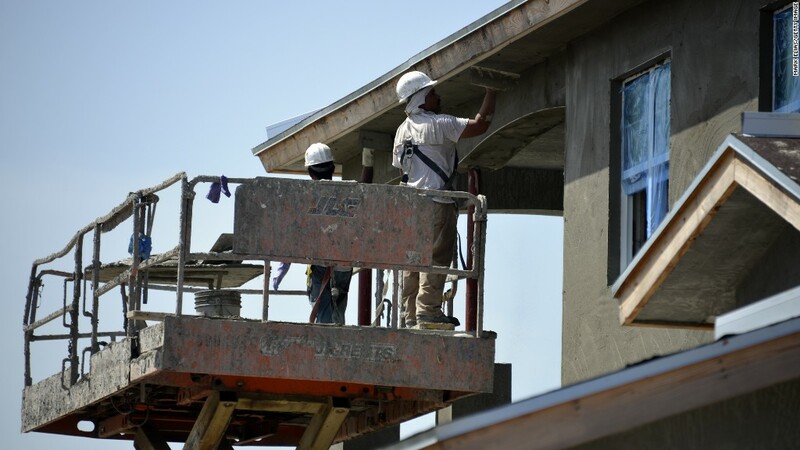 Workers apply stucco to an under construction at the Toll Brothers Inc. Jupiter Country Club housing development in Jupiter, Florida in August 2014. What everyone wants to know is if the economy is truly better. Is this recovery "for real"? There is so much data on the economy now, it is hard to figure out what is most important. Last week alone exemplified the flood of numbers: the Census Bureau, Federal Reserve and Labor Department released a variety of economic data points. The big news makers -- employment, inflation and gross domestic product -- are always important statistics, but if you really want to know where things are headed, there are a few lesser known indicators that give a fuller picture of the economy's health. To make some sense of it all, CNNMoney surveyed numerous economists. According to the experts, keep an eye on these three things. 1. People's spending: Shoppers have a big impact on the economy. Consumption makes up over two-thirds of America's gross domestic product. The Great Recession made people a lot more cautious about buying things. And when people aren't buying, that also hurts company profits and jobs. The question is whether buying is back. The best way to gauge that is the monthly Personal Consumption Expenditures (PCE) index. Related: Are you a home buying genius? At the height of the recession in 2009, PCE decreased, and it still is not back to its pre-recession levels. What most economists -- and businesses -- want to see is steadily increasing spending. But so far in 2014, there have been three months where PCE has dropped, including July. That's worse than 2013 when the PCE increased (or at least remained level) every month. 2. Home buying and building: The housing collapse was at the center of the recession. The slow recovery of the housing market serves as a microcosm of the economy's tepid comeback. "Home ownership has historically been the single largest trigger to consumer spending," said Diane Swonk, chief economist at Mesirow Financial in Chicago. People who buy homes tend to buy more of other products than non-buyers, which suggests that home buying can trigger a positive ripple effect on personal spending and jobs, Swonk says. Economists are watching a data point known as "housing starts." Single-family housing starts in July numbered 656,000, or about 10% higher than the same time last year, according to the Census Bureau. Still, the number of these housing starts is 50% below a typical level, says Robert Denk, senior economist at the National Association of Home Builders in Washington D.C.
A more normal level of housing starts would be about 1.3 million, the average between 2000 and 2003, Denk says. "The recovery truly can't be considered complete until housing gets back on track," Denk says. "[Housing] generates jobs and it still really is that sector of the economy that hasn't fully recovered, in fact it's only halfway back." 3. Manufacturing: America might be known for Silicon Valley more than steel these days, but the country still makes a lot of products. Another indicator that holds implications for the greater economy is the PMI, an acronym for the wonky-sounding Purchasing Managers' Index (that term was actually abandoned in 2001). Created by the Institute for Supply Management, the PMI gauges manufacturing levels across the country, taking several factors into consideration, including employment and inventory levels. In a positive sign for the recovery, the PMI hit a 12-month high in August at 59%, according to ISM. The average PMI at the recession's peak in 2009 was 46.4%. Thus far in 2014, the PMI has averaged 54.9%, signaling a healthy gain in manufacturing during the recovery. There are some concerns that the really strong U.S. dollar could hurt manufacturing, since it makes American goods a lot more expensive to people in Europe and other parts of the world, but so far there doesn't seem to be an impact.